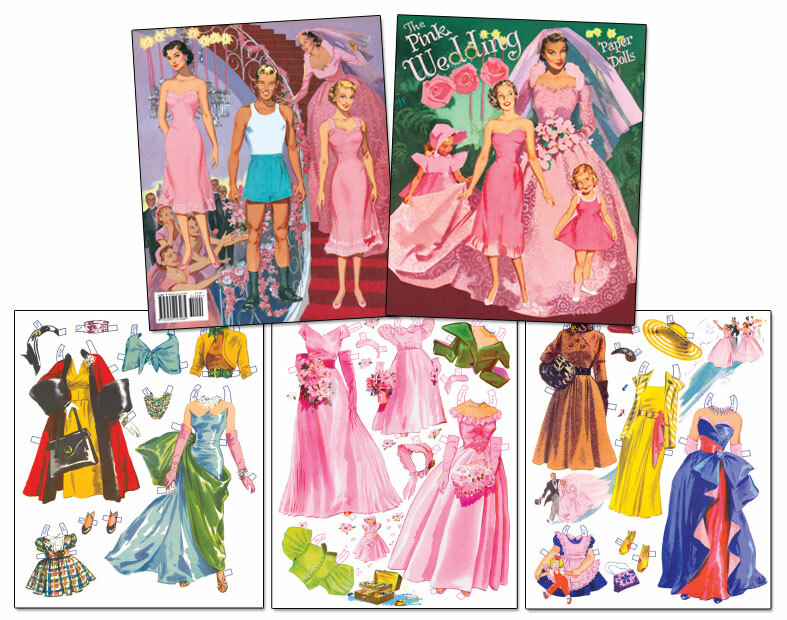 The bride, maid of honor, bridesmaid and flower girl are all pretty in pink for the happy wedding day in this lovely paper doll book. 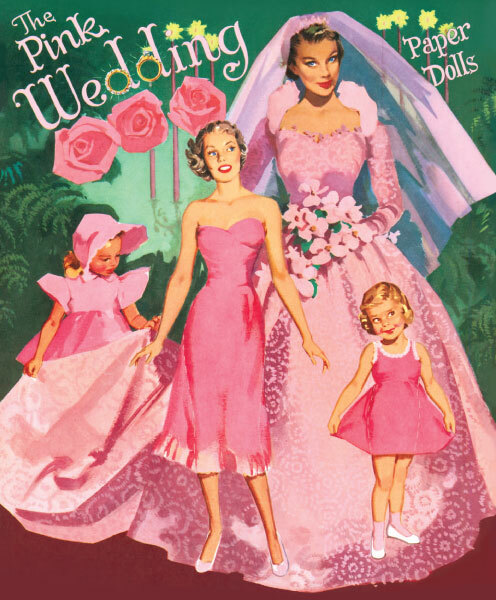 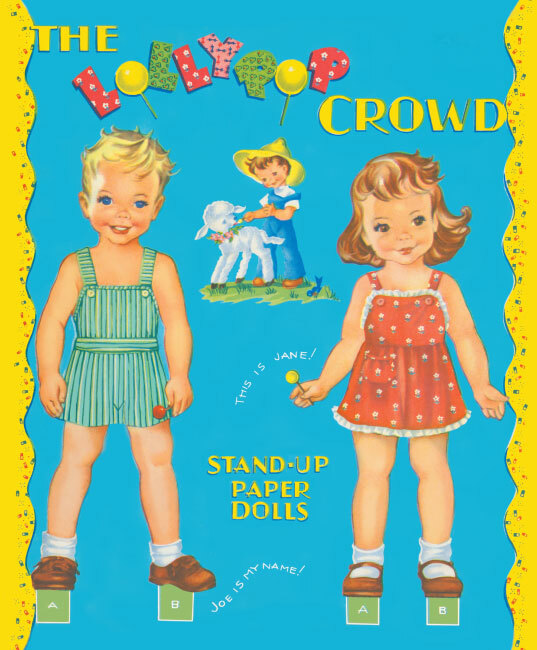 Originally produced by Merrill, Co. Publishers in 1952, this authorized reproduction includes a complete wardrobe for the Bride, Groom, maid of honor, bridesmaid and flower girl. 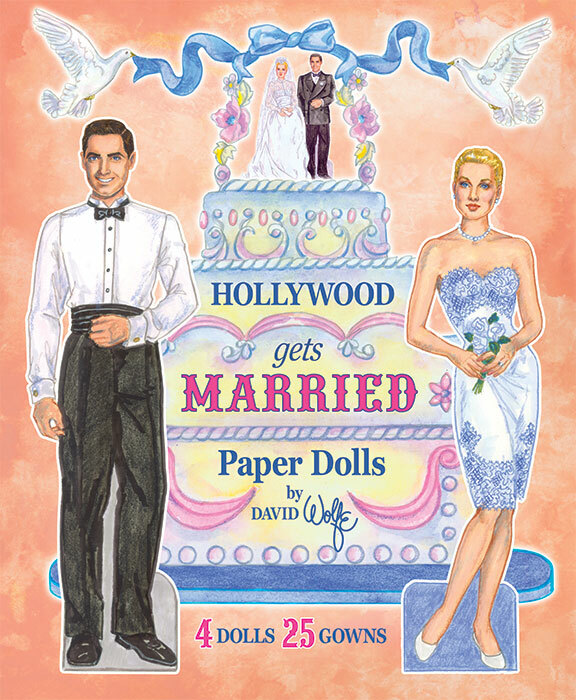 In addition to the pink gowns for the bridal party (black tie and tails for the groom), there are clothes for parties, outings and of course the honeymoon. 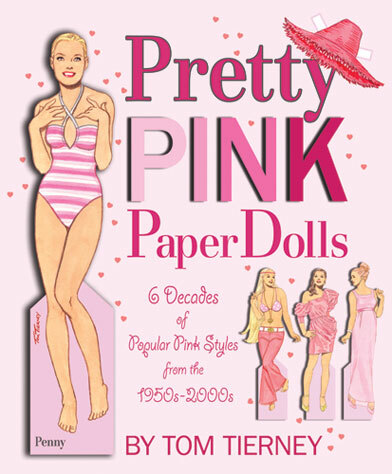 A wonderful example of classic fifties fashions.